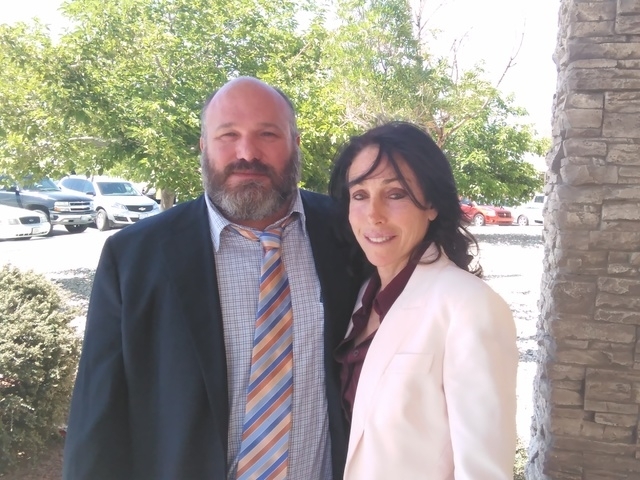 Judge Kim Wanker discharged the three-year-old drug case against Pahrump resident Heidi Fleiss on Friday. In August of 2013, Fleiss was charged after Nye County Sheriff’s deputies with an arrest warrant in hand, discovered close to 4oo marijuana plants at her home while searching for a wanted person. Wanker told the court the deputy who found the plants did not follow proper law enforcement procedures, as arrest warrants differ from search warrants. Defense Attorney Jason Earnest said the deputy committed what was essentially a flawed arrest. Nye County Deputy District Attorney Michael Vieta-Kabell said the state will appeal Wanker’s decision. The deputy was searching for an individual who had a felony arrest warrant out of Utah. The person’s last known whereabouts was Fleiss’ home on the far north end of town. The fact that the deputy did not have a search warrant, did not justify Fleiss’ arrest, even though Wanker said Fleiss did break the law by possessing the plants. Earnest commended the judge’s decision. Fleiss, too, also hailed Wanker’s ruling. Additionally, Fleiss said she is taking the proper steps to get her back life together after the entire ordeal. Fleiss also said she will continue to live in the Pahrump Valley as she wants to eventually establish a bird sanctuary in the community. Prior to the hearing, Earnest said he wasn’t certain how the judge would rule. Earnest also gave credit to a colleague who assisted in the case. According to the sheriff’s office, on Aug. 7, 2013, a deputy arrived at Fleiss’ residence and knocked on the open front door to the main house. When no one answered, the deputy walked to the backyard, where he found some of the plants growing in pots. After Fleiss gave permission for a search, he and other officers found more plants inside the home, police said. Police said Fleiss told them she was growing marijuana to supply a cooperative in Las Vegas, but she could not produce the necessary documentation to support that claim. A search of the rest of the property led to the discovery of 234 plants growing in the separate residence and 158 growing in the backyard, for a total of 392 plants in all.